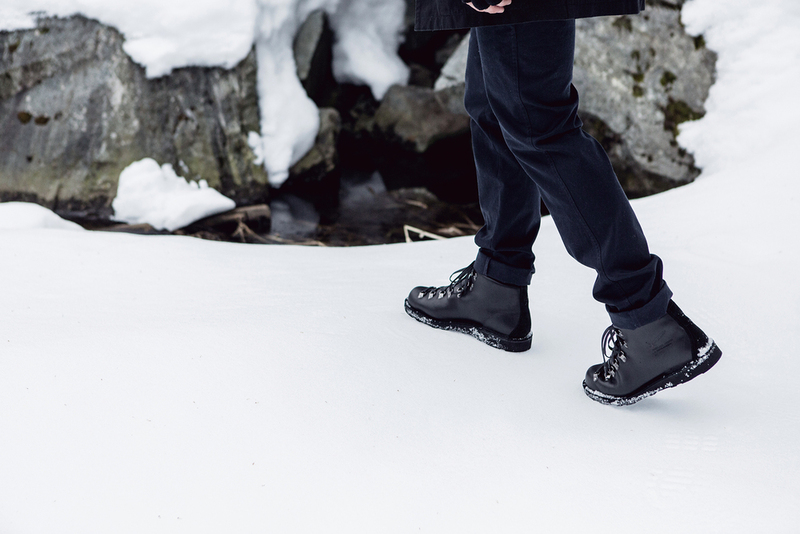 We’ve teamed up with our friends from wings+horns to develop a limited edition version of our iconic Mountain light. 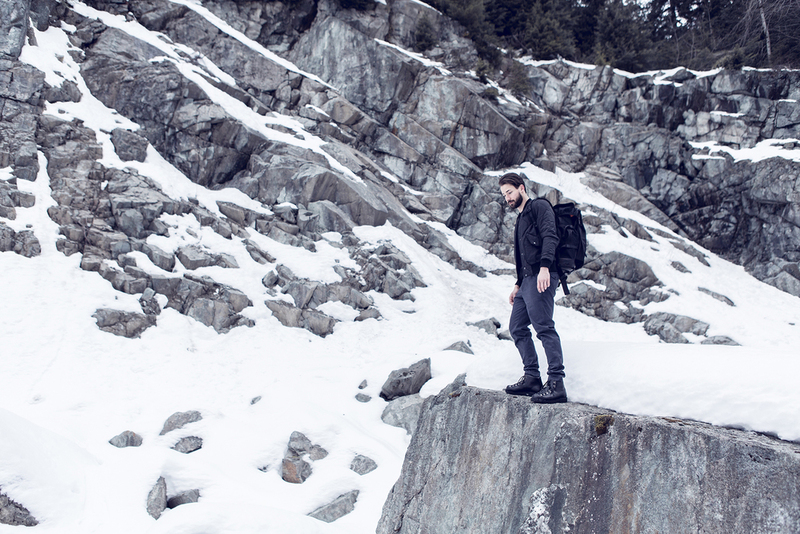 Vancouver, BC based wings+horns is a brand that has been combining classic designs with innovative fabrics since 2004. They share our same love for the Pacific Northwest and quality manufacturing. ￼”We were excited to see wings + horns' spin on our classic Mountain Light silhouette,” says Colleen Fennerty, Product Line Manager for Danner Lifestyle. 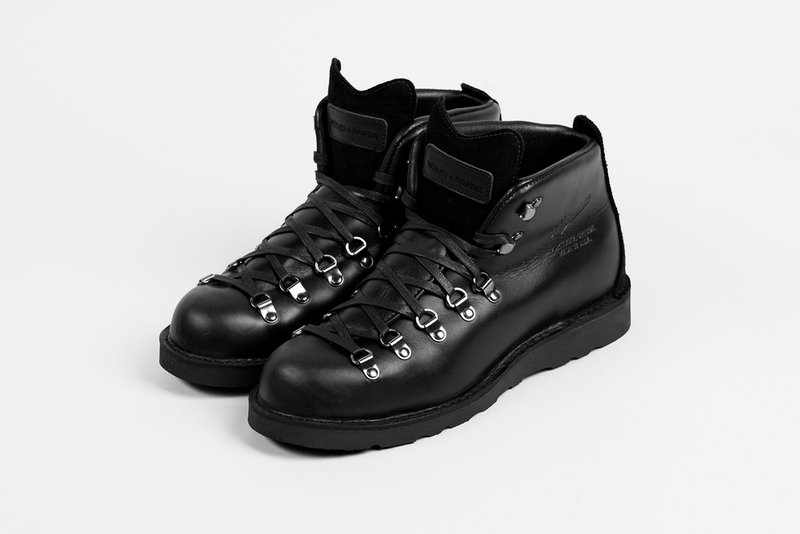 “Using premium Horween leather coupled with a rough out suede, the all black boot exhibits a classic yet fashion forward aesthetic that speaks to the ethos of both brands." Made in the USA at our Portland, Oregon factory, the wings+horn x Danner Mountain Light is 100% waterproof and breathable with GORE-TEX lining, engineered to keep your feet dry and comfortable, even in extreme conditions. The leather upper is constructed from a single piece of Horween Cavalier Chromexcel leather, which offers a soft yet durable leather characterized by a rich pull-up. Our hand crafted stitchdown construction provides a wider platform for increased stability underfoot. This construction makes the boot recraftable in our Portland factory. Footbed support is provided by the Danner® Airthotic® a half- length, molded polyurethane instep that cups the heel and supports the arch area of the foot. Only 400 pairs of the boot are being made and will be sold at our Union Way store in Portland, danner.com, wings+horns flagship store in Vancouver and select retailers across North America.